The season of processing grain-growing is finishing. According to chief executive of LTD "Shostka elevator" Vladimir Kokotin, an enterprise succeeded to execute practically everything, that it was pre-arranged. An elevator processed more than 20 million kg of corn seeds and 5100 thousand kg of sunflower. - The season was difficult, firstly due to the weather conditions, but the arranged collective work helps to execute the tasks. We are looking forward with optimism, planing to extend a production considerably, - a leader marked. 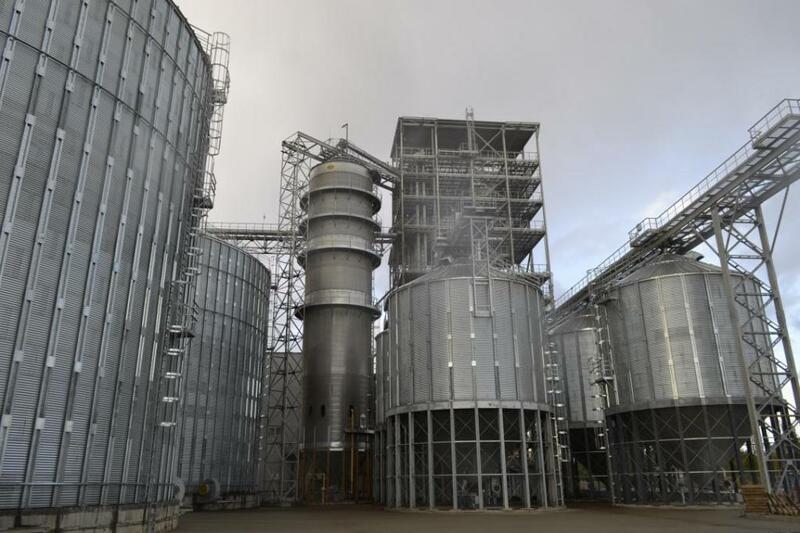 In particular, the tasks in 2018 are to set one more drying tower and to extend an area for storage by setting additional silos on the grain elevator. - We will soup up production, we will be able to process more grain, and it, in turn, increases the working place, receipt of income, withholdings in a budget, - Vladimir Kokotin summarized.